Tiya Miles is a professor at the University of Michigan in the Department of American Culture, Department of Afro-American and African Studies, Department of History, Department of Women Studies, and Native American Studies Program. Her research and creative interests include African American and Native American interrelated and comparative histories (especially 19th century); Black, Native, and U.S. women's histories; and African American and Native American women's literature. Her most recent book, The House on Diamond Hill: A Cherokee Plantation Story, was published by the the University of North Carolina Press in 2010. She also wrote Ties That Bind: The Story of an Afro-Cherokee Family in Slavery and Freedom, published by the University of California Press in 2005, and a co-edited book with Sharon P. Holland, Crossing Waters, Crossing Worlds: The African Diaspora in Indian Country, published by Duke University Press in 2006. Tiya maintains a personal website at www.tiyamiles.com. 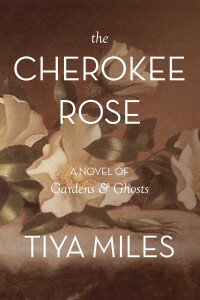 Visit her personal site to learn more about the release of her debut novel, The Cherokee Rose. Tiya is the founder of ECO Girls, an environmental and cultural project for girls in urban Southeast Michigan. Visit the ECO Girls site. The House on Diamond Hill: A Cherokee Plantation Story contains a transcription of the religious memoir of Peggy Scott Vann (also known as Margaret Ann Crutchfield), mistress of the Diamond Hill plantation and wife of James Vann. As the first convert to the Moravian faith in the Cherokee nation, Peggy should have written, or had written for her, a religious biography called a "Memoir." However, archivists expected that a memoir had never existed for Peggy Vann because no such text had been found. A copy of the original text has now surfaced. Learn more. 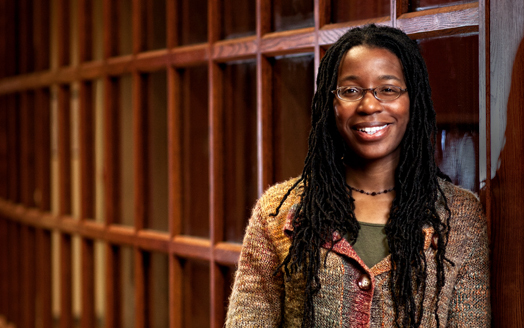 Tiya was awarded a 2011 MacArthur Foundation Fellowship for her work on African American and Native American history! View the MacArthur Foundation announcement, or read the coverage by the New York Times, the Wall Street Journal, AnnArbor.com, the Chronicle of Higher Education, the University Record, and the Michigan Daily. Also listen to the NPR All Things Considered announcement of the grant winners, and read the blog entry about Tiya by Professor Emerita Kathy Jones of San Diego State University.